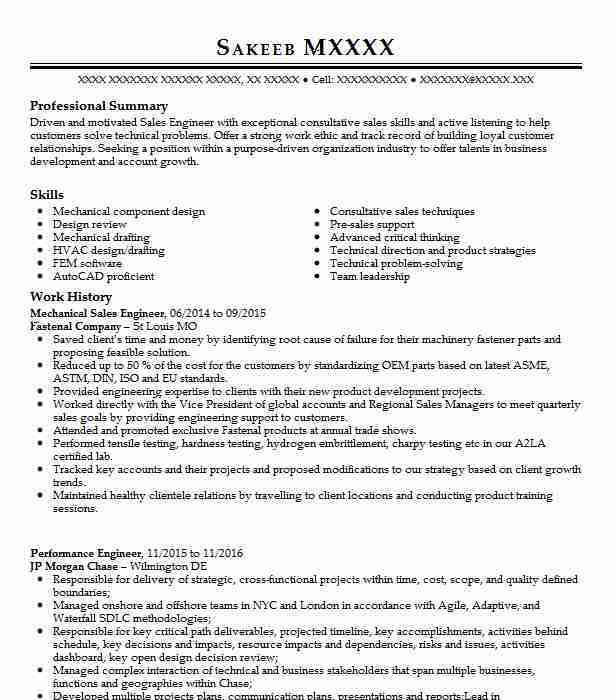 Highly focused and creative Mechanical Sales Manager with superb records in sales and customer satisfaction. Innovative salesman with a fresh and wholesome approach. Adept at functioning well independently or as member of a sales team. Developed and implemented new sales and marketing strategies. Introduced clients to new offerings and products. Set up and ran trade show booths for project showcases. Prepared product sale contracts for presentation to clients for approval. Kept current in energy industry sales trends. Prepared and met all sales objectives. Maintained excellent relations with supplier and client networks. There are plenty of opportunities to land a Mechanical Sales Engineer job position, but it won’t just be handed to you. 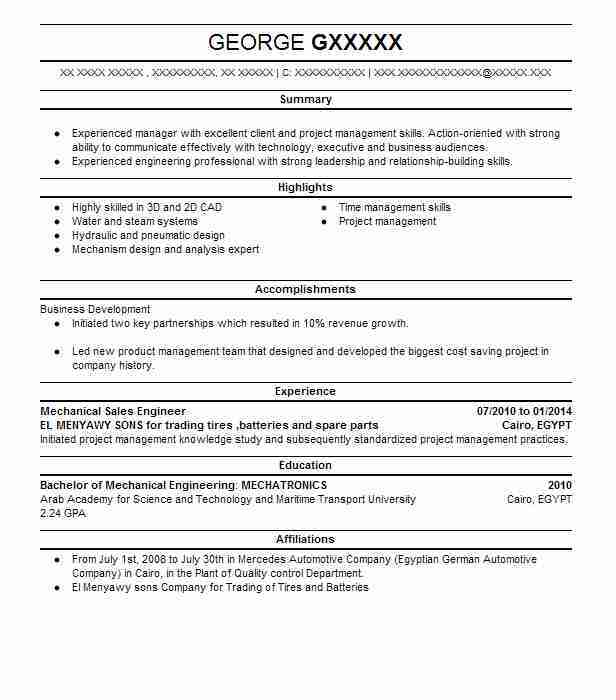 Crafting a Mechanical Sales Engineer resume that catches the attention of hiring managers is paramount to getting the job, and LiveCareer is here to help you stand out from the competition.